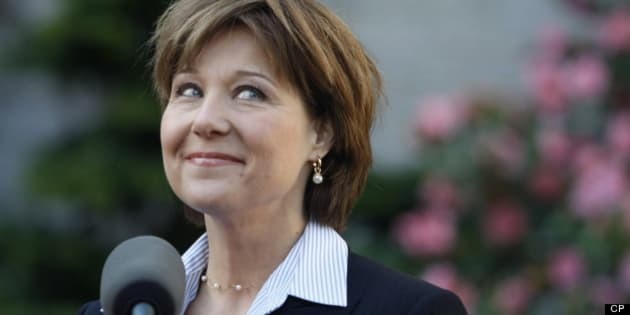 British Columbians know Christy Clark as their premier, a cabinet minister and a former radio shock jock. They may be less aware of her religious beliefs and the unfortunate way her career as a student politician ended. 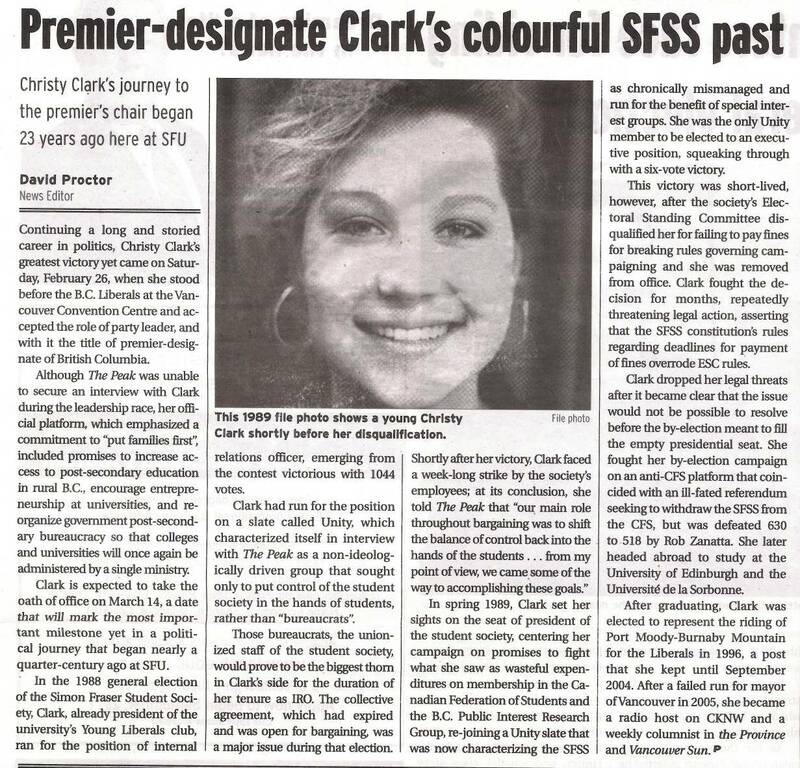 First elected to the opposition benches in 1996, her cabinet career began in 2001, when she was named B.C. 's deputy premier under Gordon Campbell's landslide majority government. She became a famously polarizing education minister, before leaving politics in 2004. Three years later, she returned to the public eye with a new job - chat show host on Vancouver-based radio station CKNW. Clark returned to politics as BC Liberal leader - and premier - in 2011, following Gordon Campbell's resignation. Devout Anglican: B.C. 's premier is a devout Anglican who studied religion at the University of Edinburgh in Scotland, the Vancouver Sun reported. Student Politician: While a student at Simon Fraser University, she ran for and won the presidency of the Simon Fraser Student Society, only to be disqualified later after failing to pay fines for breaking campaign rules, The Peak reported. Cabinet Mother: She became the second woman in Canadian history to give birth while sitting as a cabinet minister, the first being Pauline Marois in 1985, The Tyee reported. Foray In France: Like her NDP opponent Adrian Dix, she spent time in Paris, studying at l'Universite Paris-Sorbonne, her B.C. Liberal biography states. Pink Shirt Day Captain: She created "Pink Shirt Day," an initiative to counter bullying, while she worked as a CKNW radio host. She spoke out frequently on the issue while serving as premier.